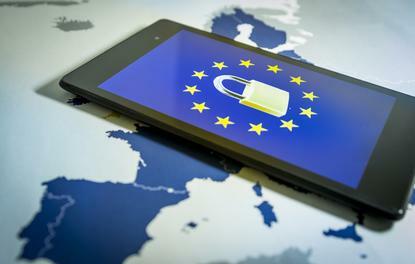 European companies are struggling to meet their obligations to provide citizens with their personal data as required by new general data protection regulation (GDPR) rules, a survey of the legislation’s first full quarter of operation has revealed. Fully 70 percent of businesses could not address individuals’ requests to provide a copy of their personal data – a core tenet of GDPR that is encapsulated within Articles 15 and 20 – data integration provider Talend reported after an audit of 103 companies’ performance. Retail providers were the least able to respond to GDPR enquiries, with 76 percent of such firms unable to meet their obligations. Half of financial-services companies were equally unable to respond – suggesting to some that businesses with offline and legacy systems were struggling to comply with GDPR. Even amongst those that could respond, 65 percent took over ten days to respond and the average time taken was 21 days. The failure to comply is a warning for Australian companies, which will increasingly be subject to similar requirements under Consumer Data Right (CDR) legislation that will first be introduced in the banking sector in 2019 as Open Banking. Yet consumer trust may prove harder to earn than simply by responding quickly to their GDPR requests. Recent Ipsos MORI survey of UK consumers found that most citizens are fiercely protective of their data, with just 21 percent of respondents willing to sign up for open-banking platforms. Banks have also been flagged as concerned about open banking, with concerns that it will result in their intellectual property being taken from them. Australian companies have a long history of struggling with the spirit and the letter of privacy laws, with one March survey by Webroot suggesting that just 13 percent of Australian companies were prepared for GDPR. At that point, just 24 percent of Australian companies had trained their staff about GDPR compliance, while a Gartner analysis suggested just half of companies would be compliant with the legislation by year’s end.